Come to beer school at the big board! 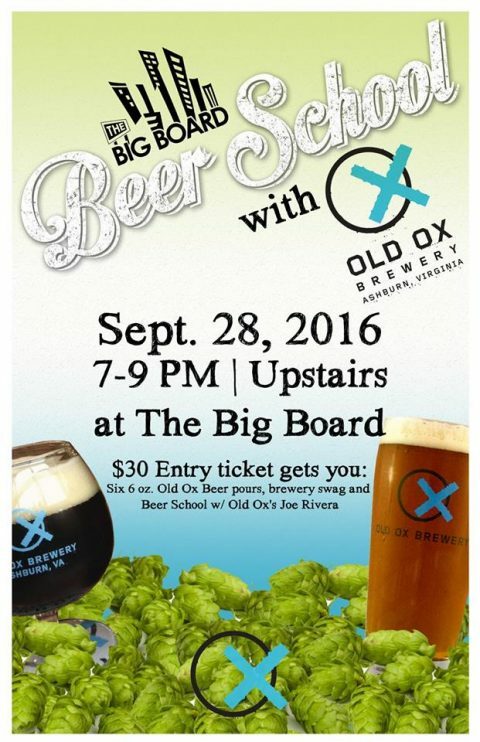 $30 gets you 6 pours, a fullbeer, snacks, swag and beer school with the Old Ox crew! Old Ox Joe will showcase our beers along with his expertise on what makes these beers great and fun to drink. Get your tickets while they last. Space is limited.